Staying true to our motto – Inspiring Men About Women, Whiskey & Proper Manners, we sit down with Tom Bulleit of Bulleit Bourbon. There is perhaps no finer man to discuss whiskey and proper manners. Q: A lot of our readers drink bourbon. What do you consider the key elements or process that make a good bourbon? How do you typically drink it? What type of glass? Rocks? Do you ever drink bourbon as a cocktail, old fashioned or other? As far as I’m concerned, there’s really no wrong way to enjoy Bulleit, as long as it’s done responsibly. I prefer to bite the Bulleit and drink it either neat or on the rocks in a simple rocks glass, or in a cocktail like the BLT (my wife, Betsy’s Little Treat) – Bulleit Bourbon, Lemon and Tonic. Q: Whiskey and bourbon have been social climbing the last few decades and now have (in my opinion) surpassed vodka as The Spirit of The Cosmopolitan. Small batch distilleries and bourbon only establishments have emerged in every major city. How do you try to position your brand amongst the new consumers in their tattoos, Rolex watches & vests, but still maintain the historical branding of Frontier Whiskey? A: The recent bourbon boom has certainly made things interesting, with new brands entering the community each and every day. We welcome this friendly competition, as it helps introduce new consumers to the category and build excitement around all kinds of whiskey. As the category continues to grow, I really rely on the expertise of the bartending and mixology communities to reach these new consumers. Those are the folks on the front lines with our consumers every night regardless of who they are or what they’re wearing, so they’re always able to provide insight on consumer trends and where Bulleit fits into the whiskey space. Q: Tom you are a very dapper man yourself. Do you have any attire secrets, tendencies or superstitions when getting dressed for an event? For instance do you always tie a Windsor knot? Wear a certain color or style of suit or shoes? Carry a lucky (anything) in your pocket? Wallet or Money Clip? A: Thanks for the compliment, but I can’t take all the credit for it. My wife Betsy has a great eye and is my behind-the-scenes style guide. As you can tell from the Bulleit Bourbon label, I’m partial to the color orange. So you’ll often see me incorporating orange into my outfits – in the form of bow ties, traditional ties or my signature Bulleit cufflinks. I like to keep it simple, but always have one piece that stands out as a conversation starter. Q: There is some mystery to how your great, great grandfather Augustus Bulleit disappeared. I’m sure you been asked too many times so I’m not going to. I think the mystery is personal to your family and I also think it’s good for business – who doesn’t like folklore and legend?! Our readers would be more interested in the journey and evolution of the recipe. Before you resuscitated the Bulleit brand, did your family make small batch bourbon to be enjoyed at family gatherings and retain the recipe for years? I guess I’m trying to draw a parallel to Italian families (like mine) that have passed along sauce recipes for generations. Did this happen in your family with bourbon? A: While we didn’t make small batches ourselves at family gatherings, being raised in a Louisville family that values its history and roots, my family had a great influence on my life. I was surrounded by the sights and smells of distilleries growing up and it was really when I worked in several of them around Louisville to help pay for law school that I realized just how much I loved it. It played a huge part in my continuation of the family’s legacy when we founded Bulleit in 1987 and even today I love knowing that the Brand will carry my family’s name on for years to come. This question comes from the lads at The Last Drop in Brighton, MA. 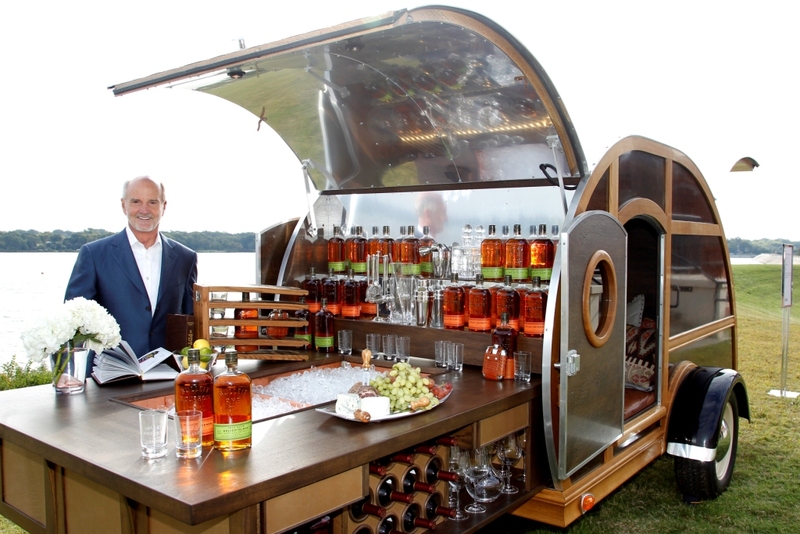 Q: Can you tell us how important the role of the barrel is to creating your brand of bourbon? Where do you get them and what do they add to your process/the finished product? 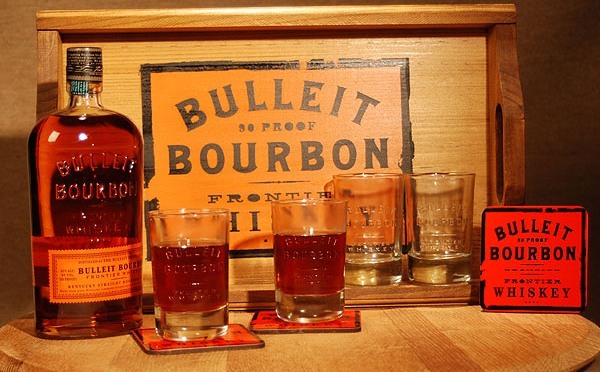 A: The strongest influences on the great taste and look of Bulleit are wood, water and time. The new charred oak barrels we use for aging provide Bulleit with its distinct, beautiful whiskey color and flavor from the caramelized sugars in the charred wood. Bourbons gain more color and flavor the longer they mature, which is reflected in Bulleit 10-Year-Old. We found that the combination of extra aging in these certain barrels, combined with increasing the bottle proof by just a touch over the traditional bourbon, resulted in a special expression of our family’s bourbon that we really enjoyed, and thought our fans would too. Q: Do you have any plans to make an over proof bourbon or a 15/20 year expression ? A: We’re always keeping our ear to the ground for new innovations, but we do not have any new announcements at this time. We’ll make sure Bulleit fans are kept up-to-date on any new frontiers we decide to explore. Q: Vodka companies have always put a tremendous focus on the design of their bottles, and to a similar extent so has Tequila. Your bottles are very cool, capturing a rustic, cowboy flask type look. Has your bottle changed much and can you comment on the bottle design as it relates to marketing for bourbon? Has the word “Frontier” always been on the bottle? A: The bottle, which draws its design from glass containers produced in Pennsylvania and Ohio in the mid 1800’s, reflects the Frontier Whiskey heritage of our high rye recipe. I wanted to pay homage to an older time period, so we worked with the designer to create an apothecary styled bottle with a modern twist and my daughter Hollis helped design the label. Q: Do you have any wisdom or advice to pass along to others who are starting their own spirit business, whether it be whiskey, gin, tequila or anything else? A: Listen to our partners in chemistry – the bartenders in your local area and around the world. Meeting and developing friendships with these true artists has been one of the smartest and most enjoyable parts of building Bulleit. Without this community, Bulleit would not be the brand it is today. In fact, Bulleit Rye – the number one selling Rye in the U.S. – would never have been created if there weren’t hundreds of bartenders pushing me to add it to the Bulleit family. 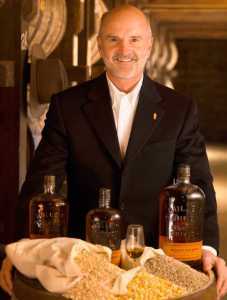 Q: You travel to San Francisco often and have referred to it as Bulleit’s “best urban market”. I spent over a decade living in San Francisco and many of our followers live or have traveled through there. As a city with endless activities, restaurants and places to see, is there anything or any place you try to get to when you are there? What is your favorite neighborhood? Any other cities like you to visit in the U.S. or abroad? It’s hard to beat San Francisco. In fact, all the great bartenders in that city are a large part of the reason why we launched Bulleit Rye…because they were so intent on having it to help them with their twists on classic cocktails like the Old Fashioned and Manhattan. I also think they’re doing really interesting things at places like Elixir and Bourbon & Branch, one of my true favorites. And I’ve always loved Nob Hill. I always joke with my wife Betsy that we’ll keep going to San Francisco until we’re too old to go anywhere – it’s a special place for us. Q: Your personal journey is quite impressive. The Vietnam vet comes home, earns a law degree and then an advanced law degree and opens his own business that is by all accounts successful. Then one day gives it all up to revive the family business that has been dormant for 150 years. Did you always have a pull towards your great great grandfather’s business? Do you have any advice to our readers on following your heart, and doing something you love for a living? A: Ever since working at distilleries while I earned my law degree, I’ve always loved their smell – that’s a very vivid memory for me and certainly one of the first times I remember thinking, “I love this and I’m going to do this one day.” That visceral feeling combined with a real awe and excitement over my family’s story gave me the spirit and determination to take that risk and start my entrepreneurial journey. My advice would be simple – if you love something, I mean really love it – don’t be afraid to take that first step. It’s undoubtedly the toughest one, but looking back, the most exciting and fulfilling one as well. Thank you for your time Tom, we really appreciate it and I know our readers do too!